Keeping track of the ever-shifting winds of nutritional research can make you dizzy. Turns out that the rumors about some of our favorite ingredients are unfounded. Offers antibacterial properties that can hamper the growth of foodborne pathogens, such as E. coli and salmonella. Helps to clear up stuffy noses and ease allergies triggered by pollen. Calms inflamed membranes, eases coughs, and fights infection. Note: In general, darker honey contains more vitamins than lighter ones and also provide more trace minerals, such as calcium, magnesium, and potassium. The once-beloved white tuber has been knocked off its throne by the righteous sweet potato. But don’t go dissing the humble spud. Potatoes have nearly twice the amount of potassium as bananas this essential nutrient (759 mg per serving). According to a study in the Journal of the American College of Cardiology, adding 1600 mg of potassium a day to your diet can lower your risk of stroke by 21 percent. Fiber and protein to help you feel fuller than you might with some other carbohydrate-rich foods. A good source of vitamin C and B9, potatoes are packed with more energy-boosting nutrients than most vegetables. Produce doesn’t have to be fresh to be good for you. Research done at the University of California, Davis, shows that canned and frozen vegetables retain most of their nutrients. As long as they are processed without added sugar or sodium, there’s no reason to ban the can. 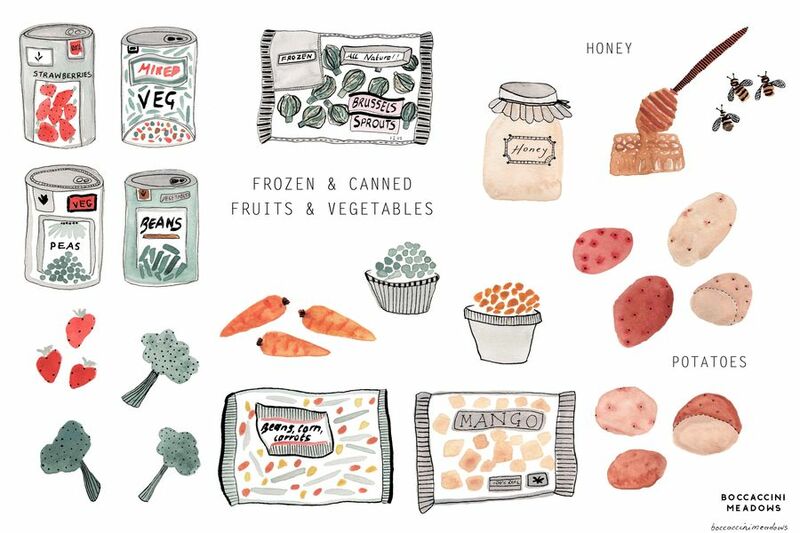 Canning and freezing actually preserve some nutrients that are depleted when fresh produce is stored at home for several days. Processed foods cut down on waste because they last longer than fresh produce. Iron and fiber remain at high levels regardless of canning or freezing.